Batman comes in just shy of 7 inches. He's a little taller and bulkier than your average Mattel DC figure (they typically come in around 6 1/2 inches) but looks right at home with your Masters of the Universe Classics (MOTUC) figures. Want to know why? Because this version of Batman is built from a number of MOTUC pieces. 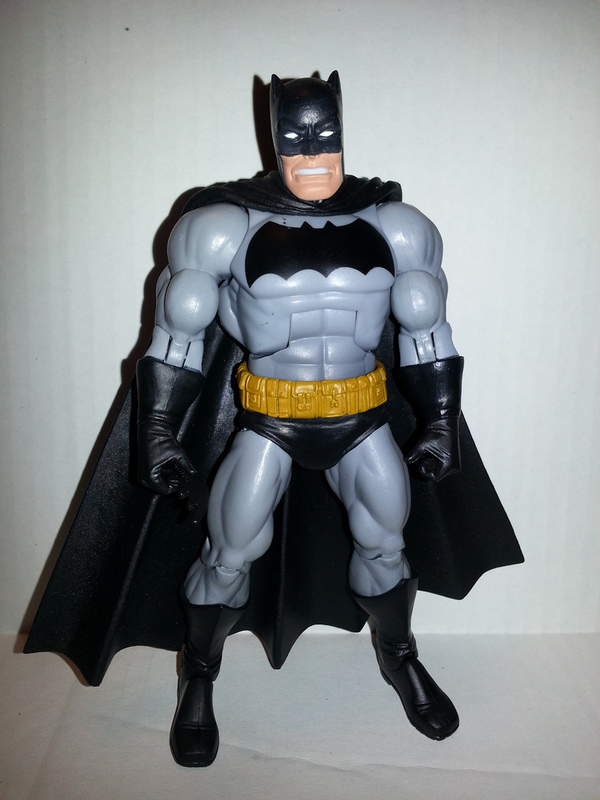 As far as I can tell, Batman reuses the standard MOTUC thighs, crotch, upper shins, shoulders, and biceps. The rest of his body, while fitting in well with the MOTUC style, seems to be all new, or at least heavily retooled. Not only was using MOTUC parts a great way to capture the bulkier style of DKR Baman, but it also offers him the excellent articulation and interchangeable head feature of a MOTUC figure. Batman looks fantastic, whether hunched over with your DCUC or DC Direct figures, or when posed normally with any MOTUC figures. Batman has the same articulation as your average MOTUC figures: hinged ankles with rockers, boot swivels, hinged knees, ball jointed thighs, swivel waist, ab hinge, ball jointed shoulders, swivel biceps, hinged elbows, swivel wrists, ball jointed head. My only complaint with his articulation is that his ab hinge is really loose, so he's always wanting to hunch over. Of course, Frank Miller drew Batman hunching over quite a bit in DKR, so perhaps this feature was intentional. You know, like the Professor Xavier figure that had loose legs so that he couldn't stand up. The rest of Batman's joints are solid and give him an excellent range of motion. I particularly love the way Mattel handled the thigh joints. I've never been too keen on the way Marvel Legends and DC Universe Classics have handled ball jointed thighs, so it's great to have the near perfect joints of the MOTUC figures here. 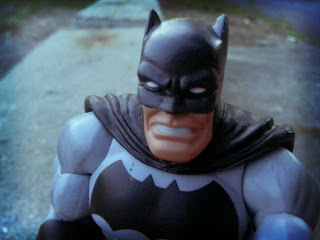 While a good deal of the figure uses reused parts, Mattel still managed to include enough new elements to really make this figure mimic the art of Frank Miller. While he uses elements of the muscular MOTUC body, his torso is less defined, giving him the appearance of having the less defined features of someone in a costume. 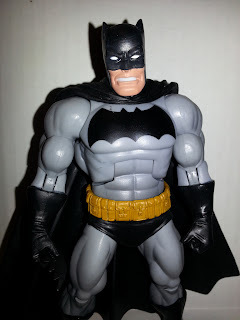 The sculpt excellently captures the shorter spikes on Batman's gloves and cowl and the face is sculpted with a nice grimace. I just wish there was a bit more texture on the teeth. You know, perhaps just a bit more detailed and harder scowl. The combat belt looks really good; it's covered with a mixture of pouches of varying styles. The cape is a bit heavy but manages to be somewhat pliable. The draping around the neck looks good. While there aren't too many special details to point out here, the fact that I believe most comic fans would easily recognize this as a DKR Batman shows my appreciation for the work done. Batman's color scheme is pretty simple, but effectively captures the character's look. While most of the figure seems to be molded in the appropriate colored plastics (black and gray), there are a few painted areas. The Bat symbol on Batman's chest is a very neat stamp, but the process seems to have left a little splatter on the gray of his torso. The paintwork on the head is solid, though, with no bleed on the eyes, face, or teeth. Batman only comes with one accessory: his batarang. This is a very plain batarang with a simple rounded top and seven points across the bottom. It's very rubbery, and although I took it out of the package a few weeks ago, it still hasn't fully regained it's shape. It also has an annoying "China" stamp on the back that's very noticeable. I'm glad he comes with something, but this is a pretty poor batarang due to the material and giant stamp. Reading my review over, I'm not sure that it's too obvious how much I like this figure. Other than the little paint slop on his chest and the poor quality batarang, this is an excellent representation of Batman from The Dark Knight Returns. As a collector of many, many Batman figures in the 6-7 inch scale, I'm always excited to see something new, so I like this. 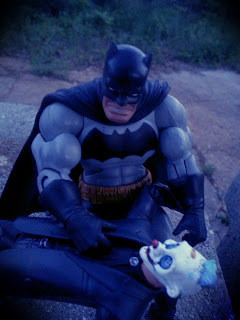 It's not my favorite Batman figure ever, but it certainly is the best DKR Batman ever. I also appreciate how it's able to interact with MOTUC, although that really doesn't make much sense as a selling point for a Batman toy. Overall, I'd give it a Great. Perhaps with a better accessory and a bit cleaner paint app, I'd be bumping him up further. Still, in light of recent terrible superhero toys like The Dark Knight Rises kids line and the Iron Man 3 figures, a great superhero figure available at your local mass market retailer is something to celebrate.  Barbecue17 came out of retirement just to write this review. He's been keeping busy adding pictures to his Flickr account.